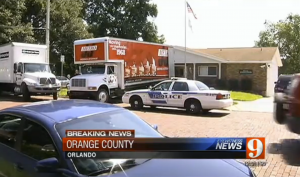 ORLANDO — A notorious abortion facility in Florida was closed down early Thursday morning as police, accompanied by two large moving trucks, backed up to the building and seized everything inside as per a court order. The seizure at Orlando Women’s Center surrounds the lawsuit Howard v. Pendergraft, which involves an incident in 2001 when a baby girl was left severely disabled for life during a botched abortion. In the process of inducing a medical abortion on 20-year-old Carol Howard, who was 22 weeks pregnant (5 months) at the time, an abortion assistant gave the woman the pill RU-486 followed by high dosages of Cyotec, which sent the woman into massive and painful labor. As labor lingered on for hours, Howard left the abortion facility and went home, where she called 911. After being transported to a local hospital, the baby was then born alive. The little girl, named Jordan, is now twelve years old and suffers from several disabilities, which stem from the medication her mother consumed during the botched abortion. The matter went to court, and in 2011, abortionist James Pendergraft, who owns the facility, was ordered to pay $36.7 million in compensatory and punitive damages. Since that time, prosecutors have been pressing for payment, and are slowly seizing Pendergraft’s assets as they have collected very little. As previously reported, attorneys for Howard had recently told sidewalk counselor John Barros, who has been reaching out to abortion-minded mothers at the facility for three years, that they would be seizing the abortionist’s assets. However, on Thursday, the reality of it all was overwhelming for Barros and others who have sought to rescue babies from death outside of the facility. Barros said that he received a phone call at approximately 7 a.m. from the doctor’s office next door to the abortion facility notifying him that police had swarmed Orlando Women’s Center and busted in the door. When he arrived, he saw two moving trucks hauling furniture and equipment out of the building. Barros stated that police questioned his presence at first, but moments later became understanding and supportive as he explained the deeds committed at the facility. John Barros helps police tape off the abortion facility’s driveway. The sidewalk counselor said that he stood watching in amazement as men carried out everything from the the examination tables, to the chairs and the ultrasound equipment. However, there was one item being loaded on the truck that struck him most deeply — the television. “And I just looked at that TV and I started to think of how many babies didn’t get to live because of that stupid thing,” he recalled tearfully, taking a few moments to gather his composure. However, Barros said that something even more amazing happened while he watched. “Girls that years ago had chosen life and had not come back to see me, saw me on the news, so they bundled up their little kids [and came down to the facility] just to say thank you for their [children’s lives] and that they wanted to be there to see the end of this awful place,” he explained, overwhelmed with emotion. 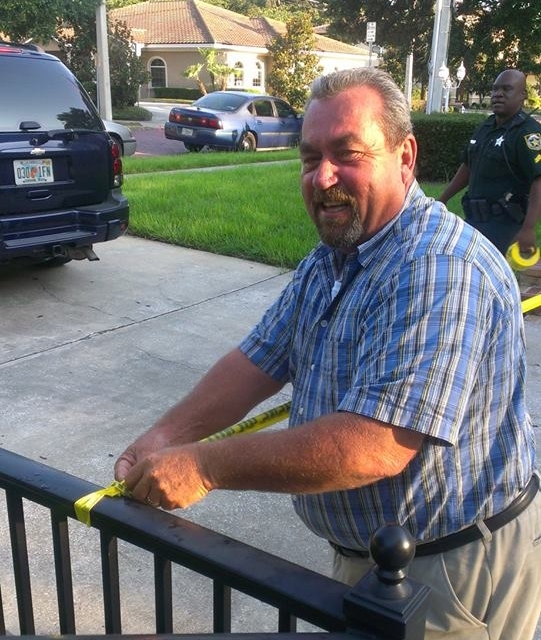 Abortionist James Pendergraft came to the scene and spoke with the numerous media outlets that arrived to report on the seizure. He told reporters that the confiscation was illegal as the property inside of the facility did not belong to him. Barros and others will be conducting a prayer and praise gathering this morning outside of the facility to celebrate the occasion. “I just want to go there and give thanks to God,” he said. According to one report, the facility will remain closed until the equipment is recovered, but some doubt that recovery and/or replacement will occur. Pendergraft states that he is routing women to his other four abortion facilities in the state due to the closure.